It's hard to believe that the holiday of Purim is behind us, unless we live in Jerusalem or another walled city where today is celebrated as Shushan Purim. But the spirit of fun parodies lives on after Purim. 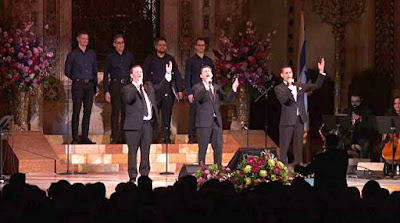 Just last week Cantor Azi Schwartz of the Park Avenue Synagogue in Manhattan posted an excerpt from a fun parody about the life of a cantor adapted by Jonathan Comisar. It's a funny description of a cantor's life serving as the congregation's prayer leader and being responsive to the unpredictable needs of its members. It's set to the music of Gee, Officer Krupke from the musical West Side Story.